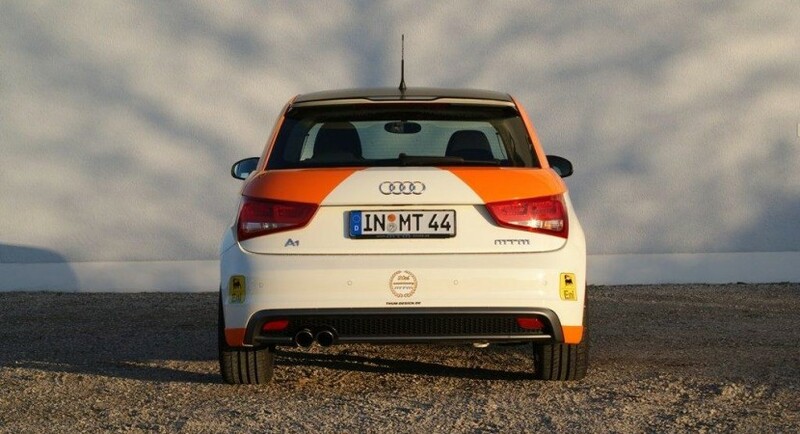 The German tuners from MTM decided to develop a complete tuning kit for the little model from Audi. 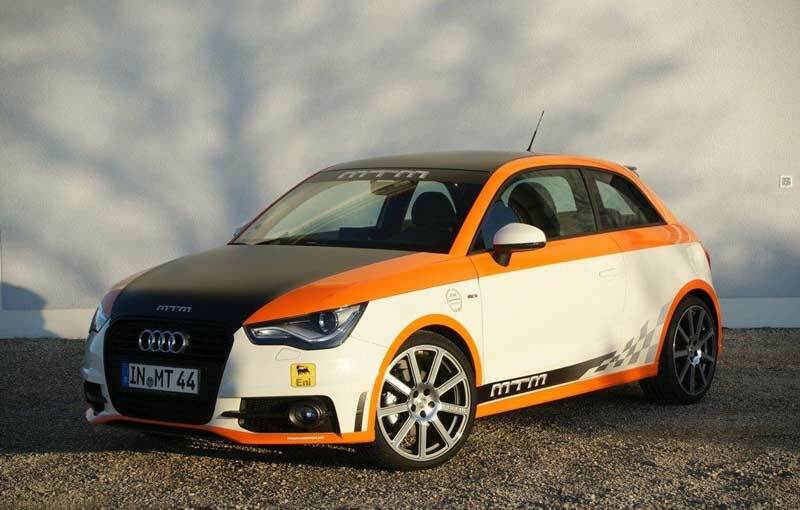 The new Audi A1 gets two performance kits while the details about the aesthetic touches are few. However, we can note the special color scheme prepared for the exterior. 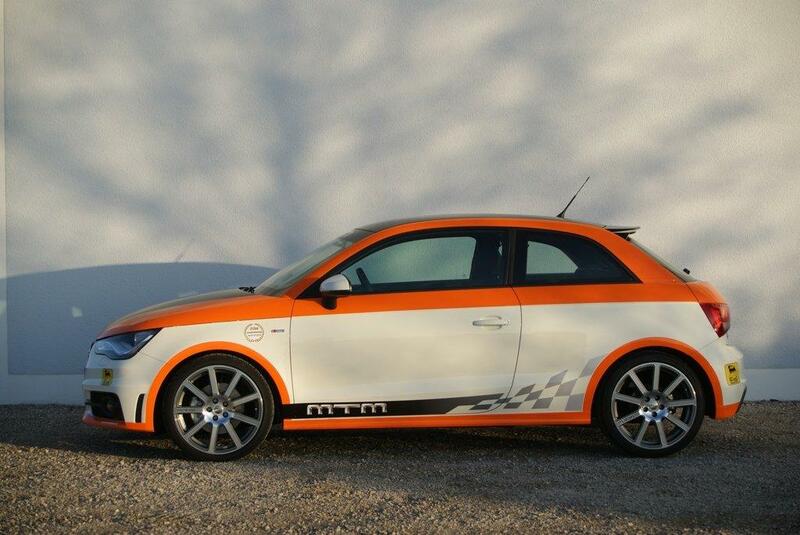 The model is painted in three colors (white, orange and black) while 18-inch MTM bimoto rims are available too. 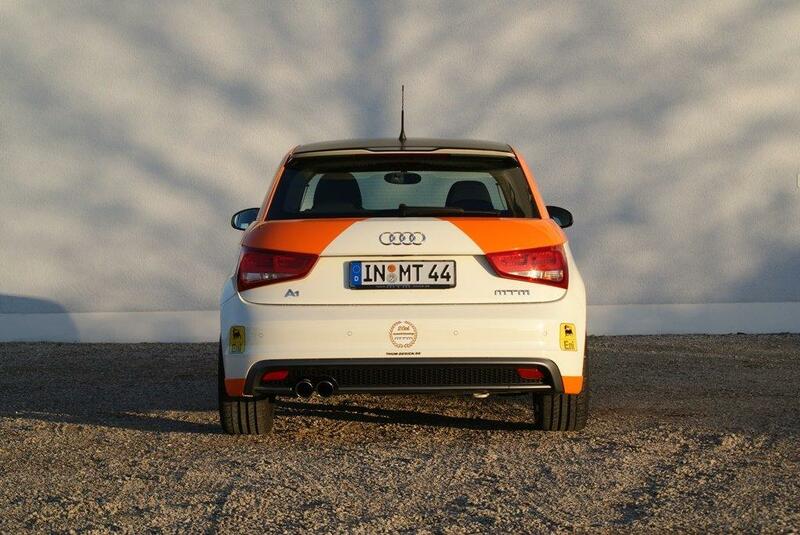 Fitted with 215/35R18 Conti Sport Contact 2 tires, the wheels come with a price of €2,349. Largely, these are the exterior improvements that can be seen in the photos while under the bonnet we have certain details about the modifications made and the achieved performance. For €1,199 you get a performance package for the 1.6-liter TDI diesel engine, able now to develop 121 horsepower and 282 Nm of torque. The German tuners bring a package for the 1.4-liter TFSI engine too, able to develop 152 horsepower, the price being the same as the performance package prepared for the diesel engine.